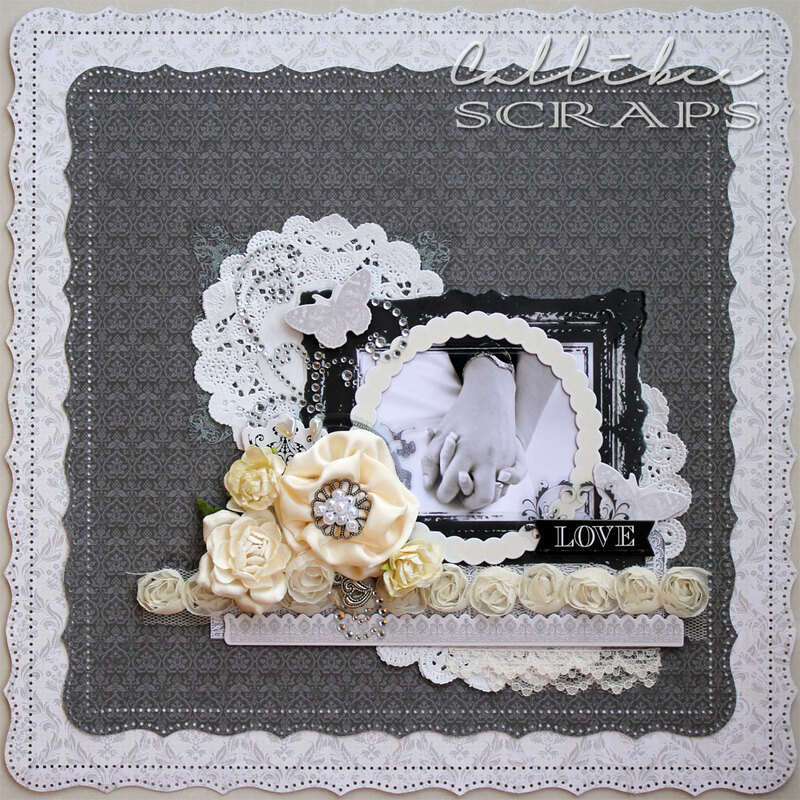 Black and white (and variations of) seem like such non-inspiring colours to use on a scrapbook layout but learning to layer them together will make your page shine just like any other bold colour. HKMC brought in this Little Yellow Bicycle Swoon Collection, just in time for the wedding season and what could be more elegant than black and white for a wedding layout. Funnily enough, in all my years of scrapbooking, I have never scrapped any of my wedding photos. They are all in normal albums or on disc. Time to change that with this layout. Use punches to create your own custom borders on your background papers. Using the black print frame and circle of pearls chipboard puts emphasis on a b/w photo against the rest of the b/w elements. 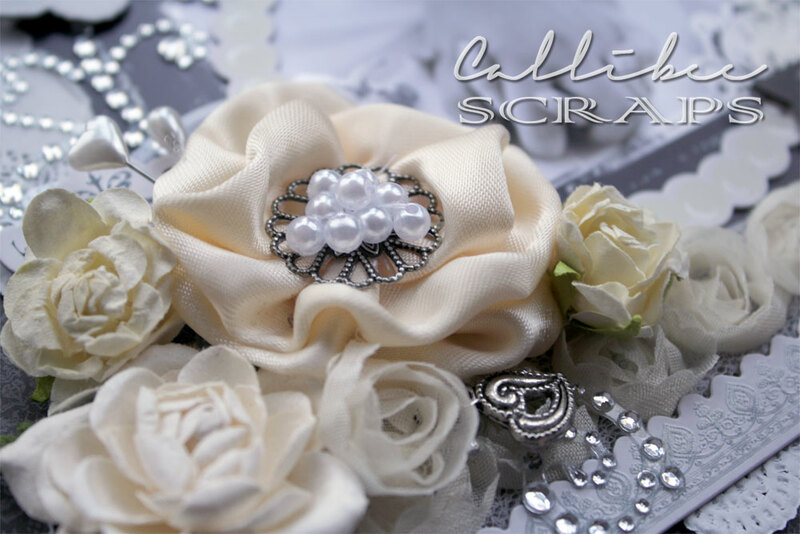 Can't find the right flowers for your layout? Make it yourself. Add a self-made satin ribbon flower with your own button or bead elements.